The Silverton has subtle blends of modern and traditional architecture. This home has great street appeal. The longer length windows allow more natural light to stream into the home. The main living area concentrated at the back of the house. The large alfresco deck is great for family get-togethers and a barbecue with friends. Every available space in this homes design is utilised. This allows the home to have a study area for a home office. 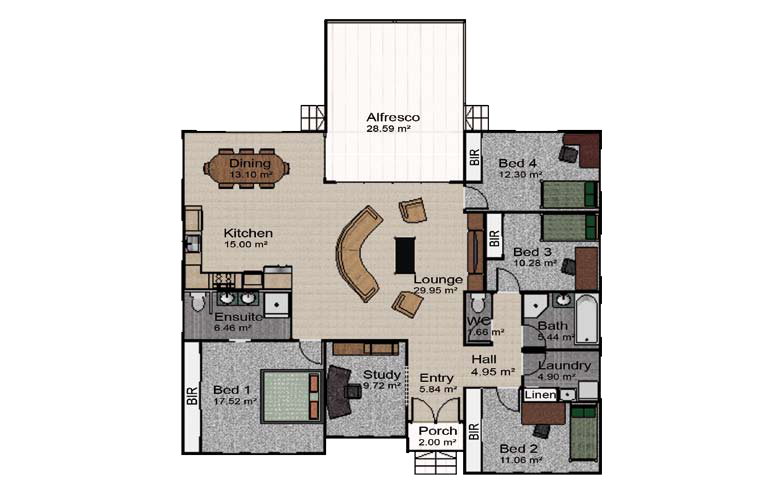 With the beautiful balance of design and use of space the Silverton is a wonderful family home.